• You can buy the hat for $75 or get it free!!! Monday started off very well with a donation to the Kentucky Journalism Foundation by Al Cross. Al is Director, Institute for Rural Journalism and Community Issues and Associate extension professor, School of Journalism and Telecommunications. All the monies collected by the foundation go toward funding the internship program, in fact helping us to add to the number of interns. 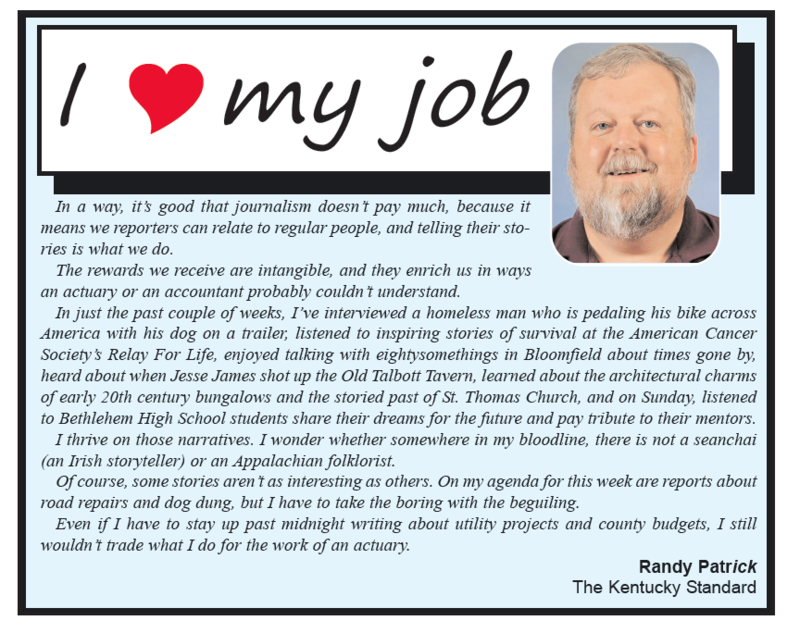 As I mentioned last week, anyone can make a tax-deductible donation to the Kentucky Journalism Foundation and be ensured it will be used for the internship program. As well, all of the proceeds from the Border War II/Battle at Crooked Creek golf tournament will be divided equally between Kentucky and Tennessee. And all of those funds will go into the internship program. Thanks Al!! We appreciate your support. The idea was brought here by KPA Board member Kim Woods soon after she arrived as Vice President of Advertising at the Lexington Herald-Leader. Kim had been on the board, twice, for the South Carolina Press Association and she told us about a sales training seminar SCPA did for new sales staff members. We have a few of those with newspapers around the state so we’re ready to begin our ‘Just The Basics: Making the Sale’ workshop. 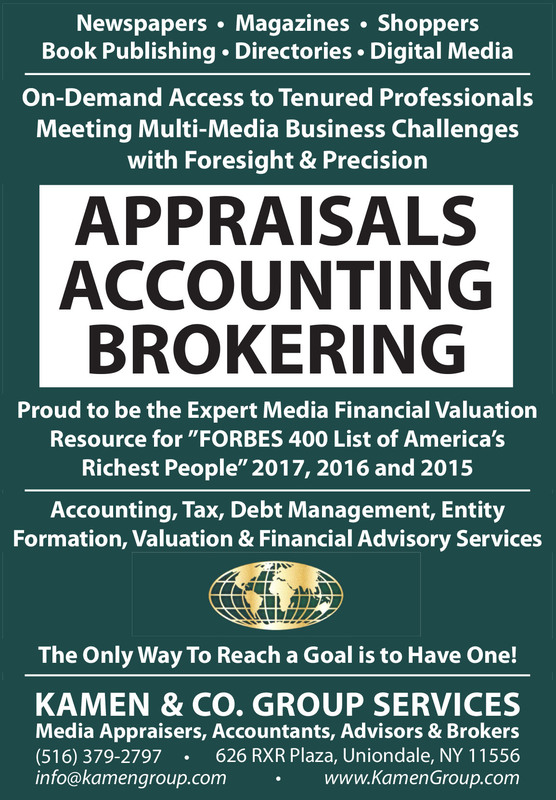 KPS Director of Sales Teresa Revlett will be doing the seminars and the first one is scheduled for Thursday, June 19 at Western Kentucky University. If Bowling Green is a little bit of a drive for your staff, don’t worry. We’ll be doing at least one more of these later in the summer and it will be in Lexington. We’re keeping the cost low, basically covering just the lunch that will be provided plus copying any of the handouts Teresa has in mind. The cost is $25 and includes the seminar, handouts and lunch. Here’s a pdf — Just the Basics — promoting the first ‘Just the Basics: Making the Sale’ seminar. It will be in the Mass Media and Technology Hall, also known as home of the WKU School of Journalism. You can print out the forms in the pdf — one to register, the other to pay by credit card — and mail those to KPA as instructed. Deadline to register your newer sales professionals is June 10. Questions? Give Teresa a call at 502-223-8821. Through the efforts of the Ernie Pyle museum in Dana, Indiana, and Steve Key, the executive director of the Hoosier State Press Association, we’re able to offer you some news content as the 70th anniversary of the Normandy Invasion approaches. 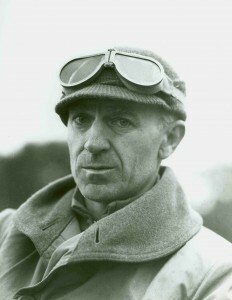 Three columns and a picture are available here to help preserve the memory of one of the most famous American journalists – World War II correspondent Ernie Pyle. My NAM colleagues and I are encouraging our member newspapers to use an article or more in celebration of D-Day. And we also do it for a selfish reason. Some of you might know Morley Piper, who served about 40 years as executive director of the New England Newspaper Association. Morley is now clerk of the Newspaper Association Managers. Morley was there as the invasion began and we often ask him to share with us some of his remembrances of that day. With this anniversary approaching, press association executive directors made personal contributions to NAM so that we could get Morley and his family back to Normandy for the 70th anniversary. I invite you, I encourage you to use any or all three Ernie Pyle articles that are enclosed in the zip file and please read the other material about the Ernie Pyle museum. It’s now operated by the Friends of Ernie Pyle and is a private non-profit foundation. If any of you would like to talk to Morley Piper about that day, he can be reached at mlpiper52@comcast.net and you’ll find him a delightful interview with a very dry sense of humor and as a newspaper person, one of us. Comes word this week that KPA Past President Dave Eldridge is moving up the officers’ ladder in our northern neighbor state. Dave was named to the Hoosier State Press Association Board last year and was recently elected treasurer of the HSPA Board of Directors. grocers, discount stores — are requiring barcodes that it’s made it necessary for newspapers to have one. If you are one of the few, maybe less than a handful, without a barcode, I’ll give you a URL in a minute where you can file for one. Here’s some information on how consumers are changing the way they shop. Hopefully, you’re ready and it would be a great idea to have your advertisers up-to-date as well. If you need a barcode for any of your products, or if you have an advertiser in need of one, suggest that URL to help them along. A sophisticated computer virus attacked a New England police department and demanded they pay a ransom to get their files back. The Swansea Police Department confirms that earlier this month, they were forced to pay $750 to hackers through an untraceable online currency. The virus is called CryptoLocker ransomware and infects a computer system when a malicious email attachment is opened. The virus encrypts files on the computer and unless you pay for the decryption key, the files are lost forever. Catching the hackers is extremely difficult for law enforcement. Computer expert Tan Nguyen has seen about 10 cases of the virus in his Woburn shop Alfa Computers. His clients have included private citizens, lawyers and even high tech developers. The FBI’s Cyber Crimes division is investigating many cases like this and asks victims to report similar attacks at www.ic3.gov. They advise against paying any ransoms and say you should consult a computer expert for help recovering lost data. Nguyen says data recovery can cost several thousand dollars more than protecting your computer system with a firewall and anti-virus software. “Creating viruses started out as a game for kids with technical minds. They did it for the bragging rights with their friends but eventually that turned into a profit making business for some people,” said Nguyen. This is not something started by the Newspaper Association Managers but it is a project my colleagues at state press associations are trying to promote. ‘Faces Never Forgotten’ is a project of the Vietnam Veterans Memorial Foundation. My closest Army buddy — we were inducted together, bunked together through basic and advanced infantry training, would fly home and back together and the first time we were apart in the Army was when he got sent to Vietnam — was a kid named Kenneth Todd from Brodhead. While I was at Fort Hood, mom and dad saw in the paper where Kenny was killed in Vietnam. Just a great guy, from down close to Somerset. He didn’t deserve to be killed, nor did any of the other thousands who gave their life in Vietnam. They have Kenny’s picture on the website but not the next one. A local boy who went to the county high school when I was going to the city high school, was also killed. We rode the bus together from Georgetown to the Fort Knox induction center on Feb. 28, 1968. It was just Everette and his mom in the family. I was concerned how his mom would survive without Everette at home. Big ol’ country boy, as quiet as a mouse, seldom said a word to anyone. Just did what he was told. His life was taken as well and I remember the sadness I felt when I heard that news because it meant his mom was all alone. We were inducted in Feb. 1968 and I see on the site his death was October, 1968. So he probably had just been in Vietnam for a month. Because of Everette Bailey and his picture not being available for the site, I certainly will promote this effort to my newspapers. There were some 1,060 Kentuckians killed in the Vietnam War. About 47 percent – 494 to be exact — have had their picture submitted for the ‘Faces Never Forgotten’ project. It should be fairly easy to find pictures of the 566 with missing photos. A simple short story in your newspaper is going to reach someone who knows someone who has a picture of the soldier. Some have submitted a high school graduation photo, a picture of the soldier as an athlete, even a page from the high school annual showing the soldier as a student. It won’t be hard to find who the missing pictures are because I’ve attached the database. It gives the names of the 1,060 Kentuckians killed during Vietnam. And if you go to Column C — the third column over — you’ll find NO or YES. To make it easier, I’ve sorted the database by county with all the NOs first so you can scroll to your county or the counties you serve. I’ll just use Georgetown as an example. Mike Scogin and Jerry Boggs need about 10 seconds to find that nine soldiers from Scott County were killed in Vietnam and six of those do not have their photos on the ‘Faces Never Forgotten’ project. They can sort by county and find the nine for Scott County. There are two from Sadieville and one from Stamping Ground so it was better to sort by county and get the entire group as one. If you want a list of all soldiers from your county killed during that war, you can go to Column F (County) and sort it to list all the soldiers together. Take a minute or two, open the database and then find the county/counties you serve. Use the sample news release I’ve included and put a story in the paper. List the names of those whose picture is needed to help finish the project. Perhaps the families don’t know about this project and will furnish a photo. But there has to be someone in your county who knew this soldier and knows where to find a photo. Because of Everette Bailey from Scott County and Kenneth Todd from Brodhead, I’m hoping you’ll help with this project. Besides the Excel formatted database for Kentucky, I’m attaching two other files. One is from former Wisconsin Newspaper Association president Andrew Johnson whose son was killed in Afghanistan and has asked NAM members to promote this effort and the other is the request from the Vietnam Veterans Memorial Foundation. Thanks for that in advance. This comes under the “He’s Old School” or “One of David’s Pet Peeves.” And for neither title do I apologize. And I direct this to reporters and to ad sales folks, both. Several times recently, I’ve seen reporters use a sentence in a story, something like “(insert name) did not respond to an email request for a comment.” Are we really that lazy? The same goes for ad sales people — just emailing a client, a potential client and ask them about running an ad? 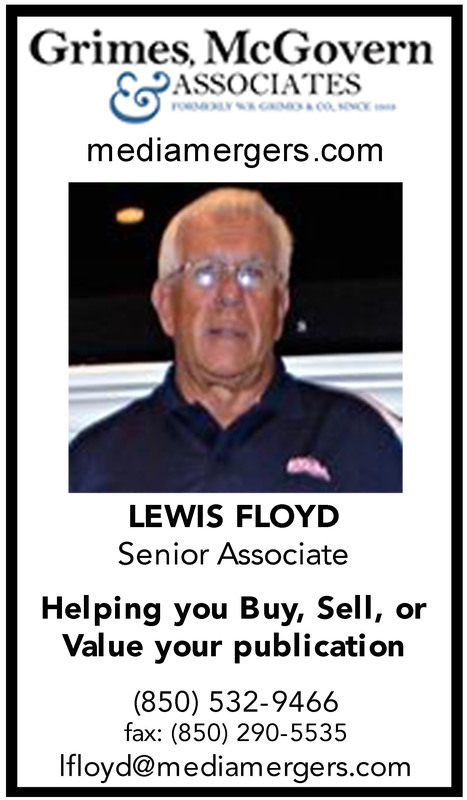 KPA Vice President Loyd Ford will tell you email is not the way to sell advertising. In both cases, it’s choosing the easy way out. Problem is, emailing is not a sure way of contacting someone. Maybe their email system isn’t working. We’ve had that quite frequently with communications from KPA to member newspapers and vice versa. Maybe a person doesn’t have immediate access to email. Or their email system has blacklisted your email system. That’s happened more than once with KPA. I’m getting off the point. If you’re really wanting someone to comment for a story, PICK UP THE PHONE AND CALL THEM!! Three submissions so far to the ‘I Love My Job’ promotion and those were emailed this week to publishers and ad managers. Hopefully some will use the testimonials as a way of promoting the industry, especially promoting reporters who have a “thankless” job in the first place. Thankless from the public and others, that is. The three came from Stevie Lowery, publisher of the Lebanon Enterprise and a KPA Board member; Randy Patrick, a reporter for The Kentucky Standard; and Kacie Goode, another Kentucky Standard reporter. 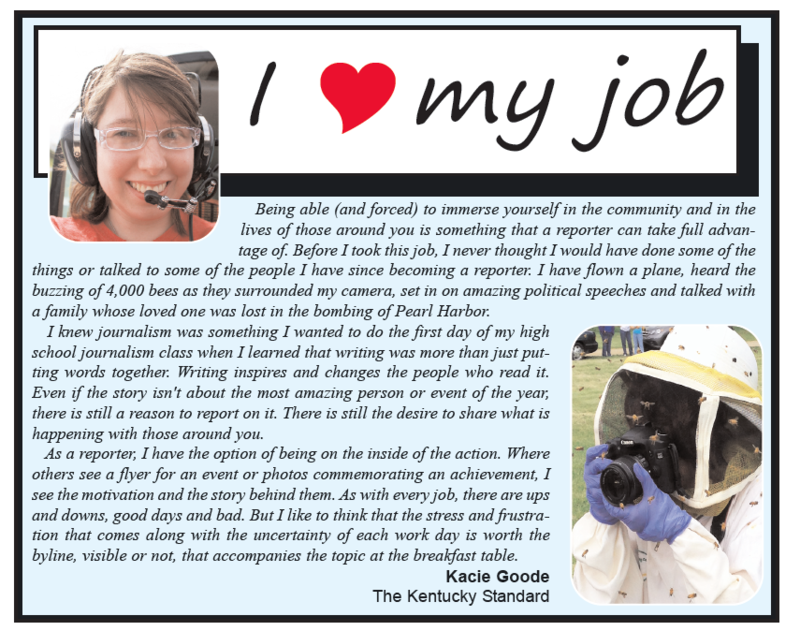 If a reporter wants to share his/her love for the job, have them email me a testimonial and mugshot. Lets hold these to 3-4 graphs or around 100 words. Hat costs $75 and the golf is FREE!! You can look at this one of two ways — we have a really nice golf hat for sale for $75. 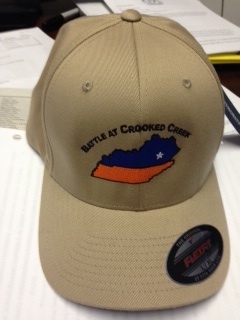 Or participate in the 2014 Border War II golf tournament/Battle at Crooked Creek and for your $75 entry fee, we’ll give you the FlexFit hat. It’s one of the nicest golf hats you’ll ever (a) buy or (b) get for free if you’ll play in the golf tournament. Still need more information about Border War II/Battle at Crooked Creek? Here it is. And this won’t be the last time I write about the tournament. In fact, probably weekly up until the event, Thursday, September 18, in London (KY). Oops — new AP style — in London, Kentucky. Do what? Double do what! I had to read this story twice just to make sure I’m understanding what my eyes were telling my brain. Here it is in a nutshell: California voters will go to the polls in June to vote on whether they want open government or government in secrecy. Yeah, you read that right. The “double do what” is that this is necessary because with Open Meetings/Open Records mandated by the legislature, the state must reimburse local public agencies the cost of having Open Meetings/Open Records. Prop 42, on the ballot for California’s June 4 election, will amend the Constitution to assure that local governments are legally bound to observe open-government requirements. If you prefer transparency to secrecy in your city government, local school board or county government, then the choice is clear: You should vote for Prop 42. Prop 42 solves a problem that has repeatedly undercut enforcement of California’s open meetings law (the Brown Act) and open records law (the Public Records Act). Because these laws are “mandated” by the Legislature, the state must reimburse local governments for their costs. Although the costs are small (more on that below), local governments and the state inevitably disagree on the amount of reimbursement, and those disagreements, in turn, provide legal cover for local governments to suspend their compliance with parts or all the Brown Act and Public Records Act. Prop 42 solves this problem once and for all by converting the existing legislative mandate (which has to be reimbursed by the state) into a constitutional mandate (which does not). Prop 42, in other words, unequivocally reallocates these costs to local governments. Will these costs be a burden for local governments? No. How much can it cost, after all, for a city council to post on its website the agendas of forthcoming council meetings? Or to help citizens describe the records they are looking for? Until now local governments, able to send all their invoices to Sacramento, have had an incentive to overstate these costs—which explains the lofty cost estimates that some have ascribed to Prop 42. In fact, Prop 42, by placing responsibility for costs on the same government entities that incur them, should cause overall costs of open-government compliance to go down, not up. At the end of the day, Prop 42 is about ending the fiscal tug-of-war between the state and local governments over who pays the (relatively modest) costs of complying with open-government laws. While in principle those costs could be definitively allocated to the state rather than local governments, in practice that would not work. Why not? Because, even if the state’s obligation to pay was unequivocal and imbedded in the Constitution, there would still arise disputes over the accuracy of the amounts that local governments bill the state. And those disputes would give local governments a legal excuse to suspend compliance with the Public Records Act and Brown Act. Finally, the Legislative Analyst has speculated that, in a post-Prop 42 world, overall open-government costs could rise because the state, unconstrained by its current obligation to reimburse local governments, could create costly new open-government programs and requirements, thereby increasing costs for local government. Not so. This theory overlooks the fact that the Public Records Act applies to state agencies as well as to local governments. That means the state, under Prop 42, would share local governments’ incentive to hold down costs. 10 people sign up before the neighborhood remains permanent on the site, you could set it up as a reporting site from various sections of the city or county. It could be an aid in finding news or getting reports of what’s going on in those areas. I wanted to try it so I set up my neighborhood in Georgetown. I invited residents from two neighboring homeowners associations and within a week had 19 signed up. We pulled in a neighboring group as well and that pushed us up to 43. While it’s designed more for neighborhood use, it’s possible a newspaper could set up some neighborhoods in the community and get reports of what’s going on. 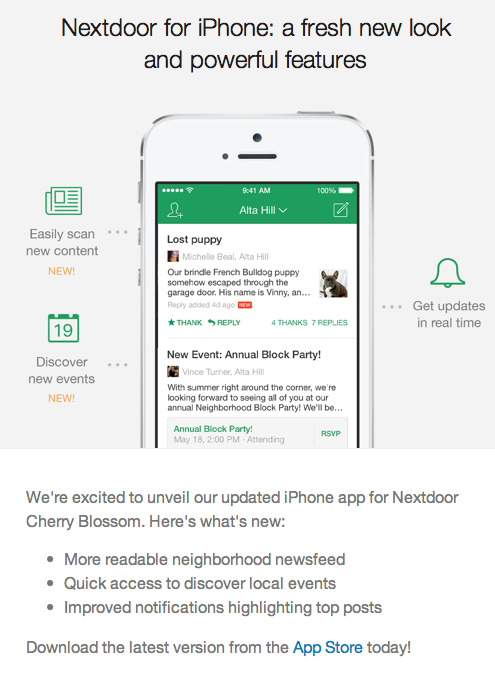 I read about this app, “Nextdoor,” which is a private social networking app for people who live in the same neighborhood. It’s described as the most “hyper-local” news a person can get. It allows neighbors to discuss power outages, lost dogs, local crime, block parties, planned parking issues, etc. I always have been a strong proponent of local news… thought you might find this interesting. Get your teachers/media specialists excited about the fall story and using newspapers in the classroom. A free Newspaper in Education professional development session to show educators/media specialists how to integrate newspapers into the classroom and to kick off the Kentucky literacy project is scheduled for Thursday, July 10, 10:30 a.m. to 3:30 p.m. at the Lexington Herald-Leader. The value of sending sample copies to nonsubscribers/nonrequesters using your 10 percent in-county “sampling” entitlement is too-often overlooked as a growth tactic for both circulation and advertising. The nonsubscriber rules in the Domestic Mail Manual are there to allow you to promote your newspaper to nonsubscribers and increase your mail delivery. 2) if you are willing to pay the “outside-county” rate for sampling over your 10 percent allowance, you can send many more copies for free so long as you abide by the 50 percent plus 1 rule, also explained below. If you do so much sampling that your newspaper is not mailed primarily to a paid (or requested for requester newspapers) list, you can lose your Periodicals permit. 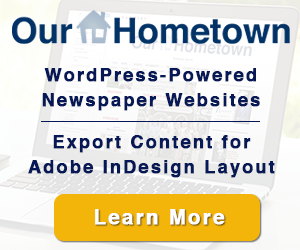 Print subscriptions now compete with their own websites, paid or free, and other free news sites locally, regionally, and even nationally. Newspapers have to work harder to grow paid subscriptions. Some papers have had success sampling a route or two at a time for two to four issues. Others choose to sample an entire ZIP code or the entire county at one time. But either way, sampling addressed copies to 90 percent of the active residential addresses per route, or 75 percent of total addresses (includes businesses), on in-county routes earns you a relatively low 6.5-cent Saturation piece price (4 oz. paper entered at DU— Delivery Office). That compares to a 9.8-cent piece price for Basic (6-124 pieces per route) in-county, saving you one-third of the per-copy price. Include a good offer to subscribe or renew in each sample copy. For those worried about offending current subscribers, make the offer two-tiered, with a higher discount level for new subscribers, and another lower one for renewals. A flyer with coupon works better than ROP ads. But use a coupon, regardless. Requesters cannot offer an incentive, but can offer up to 3 years subscription for a request. The more in-county subscriber/requester copies you can build and retain, the greater your sampling privilege is to sample at incounty rates in the future, without paying outside- county rates for nonsubscriber/nonrequester copies sent above the 10 percent rule. add the subscriber copies column, lines A1/A2 of your 3541 Postage Statement. Multiply times the number of issues in a year, and take 10 percent of that. For example, a weekly with 3,500 average in-county mail subscriber copies can send 18,200 copies to nonsubscribers at in-county rates (3,500 x 52 = 182,000 x .10 = 18,200) in a year. Double that for a twice-weekly paper. A 5-day mailed daily earns 91,000 non-subscriber copies at in-county rates under that formula. Some vendors provide CDS (Computerized Delivery Sequence) files giving all addresses in a ZIP, for use by those mailing to non-subscribers only with specific addresses. Alternatively, you may use the “simplified address” of “Residential Customer” (DMM 602.3.2.1.b) when sampling either rural or city routes. But you must mail to 100 percent of either active or residential addresses. Simplified address copies do not technically count as subscriber copies, though it would be just for those copies that would actually be subscriber copies to do so. But remember that a newspaper cannot consistently mail more than 50 percent of its total distribution free. Those needing to sample above the 10 percent in-county rate ceiling pay regular (outside- county) carrier-route prices of 14.6 cents for Saturation piece price on Line C35 of the 3541, plus 14.6 cents per advertising pound and 12.3 cents non-advertising pound at DDU lines B1 and B14 when entered at DUs (delivery offices). The copies should be co-mingled as part of the regular issue, and not a separate mailing. USPS provides a Periodicals Nonsubscriber Percentage Calculator at Postal Explorer (http://pe.usps.gov). Click on Postal Links in the upper left of the blue vertical toolbar, then scroll to the last item in that section for the Excel spreadsheet. This can help a newspaper track its entitlement and compliance across a year’s time. You can also increase ad revenue when sampling your entire market at once. Your market may be an entire county, or the primary ZIPs inside the county that you serve. With advertising slow in this weak economy, you need to provide your advertisers and potential advertisers a reason to spend their scarce dollars with you. What better way than to provide them total-market coverage in a paid news product? Some papers have known this for years, and built both circulation and advertising with monthly sampling, often tied to the issue nearest the start of a new month when government paychecks are in the hands of residents on fixed incomes. Although sampling this often usually results in several issues mailed at outside- county carrier-route prices, it can still pay off if revenue growth is strong enough. increase. Variables include the depth of economic difficulty locally, the commitment and execution by sales reps, and the date picked, such as seasonal or local retail occasions. Some newspapers bump ad rates higher, although others offer local merchants the opportunity to reach every household at existing rates, which grows revenue and loyalty. Some with shoppers allow the sample to replace an issue of the shopper, saving Standard Mail postage as well. 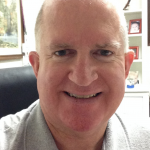 Max Heath, NNA postal chair and KPA Past President, is a postal consultant for Athlon Media, publisher of Athlon Sports magazine, American Profile, Relish, and Spry newspaper supplements, and Landmark Community Newspapers, LLC. Carrie Dillard, who’s been serving as editor of the London Sentinel-Echo, has joined the news staff of the Paducah Sun. Mike Moore, editor of the Jessamine Journal in Nicholasville for several years, is moving to a similar position at the London Sentinel-Echo and Jonathan Kleppinger is taking over as editor of the Jessamine Journal. Elaine Pearl Brown who had been a columnist for 82 years for the Paintsville Herald died May 2. Mrs. Brown began writing her column, “Asa News,” in 1932, giving details of birthdays, weddings, anniversaries, births, graduations, new jobs, moves and Sunday dinners. She was born in the community of Asa in 1915. Every day, city hall reporters at local newspapers distill hours of city council meetings into cogent stories that inform readers about how their elected officials are spending their tax dollars. Sports reporters document the successes of the high school team. Investigative reporters dig through thousands of pages of documents to expose government corruption, waste or ineffectiveness. This journalism plays a vital role in local communities and in our nation’s democracy. But it also costs money: newspapers continue to invest more than $5 billion a year in journalism, far more than any other medium in the United States. Newspapers deliver news and information when and where readers want it, in print, digital and mobile platforms. To do that, we must have fair copyright laws to enable newspapers to receive fair compensation in support of this journalism. This year, the House Judiciary Committee, the Commerce Department, the Copyright Office and others are looking at potential changes to the Copyright Act. The newspaper industry applauds these efforts to ensure that copyright law is best suited for the digital age. We hope that any changes to the Copyright Act will continue to ensure that content creators – including those who invest in journalism – receive fair compensation. This continued protection is particularly important today because some companies exist solely to aggregate content from the websites of original publishers for the sole purpose of selling this content to business users at a considerable profit. Newspapers’ concern in this area is not the personal use of newspaper-generated content but rather its use by businesses that benefit financially through the unlicensed monetization of that content. By taking newspaper content without paying for it, these companies undercut the fundamental economic model that supports journalism that is so important to our communities. As an example of the importance of copyright protection, consider a case last year that was decided by a federal judge in New York. The case involved Meltwater, a for-profit service, which scraped Associated Press articles from the Internet and resold verbatim excerpts to subscribers. The AP sued the news service for copyright infringement, and the court properly found that Meltwater’s customers viewed the service as a substitute for reading the original articles. The court found that the re-publication of these articles was not “fair use,” a defense that provides a limited exception from the general rule that content users must receive permission from copyright holders to use their content. This case demonstrates that the Copyright Act’s fair use test is flexible enough to allow courts to reach the right decision. While targeted enforcement actions focusing on business ventures that take and resell our content may continue to be necessary, the newspaper industry is also determined to find business solutions rather than legal remedies. Ultimately, the best approach for fairly compensating newspapers and other publishers is through the licensing of news content for business purposes. The most convenient way to request permission to copy and distribute material is by contacting the publisher of that content. In addition, clearinghouses exist, like Copyright Clearance Center and Burrelles Luce’s Compliance Article Program, which provide an easy way for business users of content to obtain redistribution rights. Since our nation’s founding, newspapers have played a central role in sustaining a well-informed public and healthy democracy. We are confident that licensing arrangements and fair and strong copyright protection will ensure our ability to continue to play this role for centuries to come. What does a journalist need to know? What defines “competence” in journalism? When you graduate from a journalism school, what should you know how to do? In the digital age, the answers to those questions are more important than ever. For more than three decades now, they have been near the center of conversation and debate at Poynter. 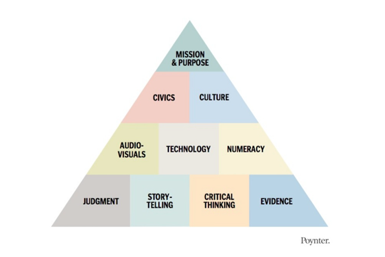 Before we could figure out what to teach, we needed to understand – in the public interest – what journalists needed to learn. This process was energized in 1997 by a call to action from Tom Rosenstiel, one of the leaders of a group called the Committee of Concerned Journalists. Over the next two years, the committee conducted “21 public forums attended by 3,000 people and involving testimony from more than 300 journalists,” according to the book “The Elements of Journalism” by Rosenstiel and Bill Kovach. Poynter was asked to conduct one of those forums on a most challenging topic: What does it mean to be a competent journalist? And so we did. Some 161 million adult unique users engaged with digital content offered by newspaper media in March, marking an all-time high, according to the Newspapers Association of America’s recent comScore data. This is a 19 percent increase from the 135 million unique visitors measured by comScore in April 2013. Young adults aged 18–24 who only use mobile devices to access newspaper digital content showed the largest increase, rising by 146 percent. The data show that the increased use of mobile devices across all age groups is significantly expanding newspapers’ digital audience. By age, the net reach of newspaper digital content was highest among 25–34 year olds, at 84 percent. Both the 34-44 and 45-54 age groups show a net reach of 79 percent, while the reach of those 55 or older was 77 percent. The net reach was 71 percent among the youngest age group, 18–24 year olds. Time spent with digital newspaper content, meantime, is very competitive with other news sources, according to the data. People spend an average of 3.5 minutes per visit on NAA Newspaper Aggregate sites, just shy of CBS Local television stations, with 3.9 minutes, and above CNN with 3.1 minutes. NBC-owned stations averaged 2.9 minutes, as did Huffington Post Global, followed by The Weather Channel, with an average of 2.8 minutes and Buzzfeed.com, with an average of 2.6 minutes. The NAA Newspaper Aggregate tracks domestic U.S. online audiences, excluding those to online-only publications. Your sales people: Hunters or farmers? These terms are self-explanatory. Hunters live for the thrill of the chase. Ask them to find new prospects, and they’ll be out the door in an instant. They love to attend networking events, find people who have just opened businesses in town, and make presentations to new prospects. On the other hand, farmers are at their best when they are providing customer service and working with clients to move them to the next marketing level. In other words, hunters provide width and farmers provide depth. Hunters specialize in bringing in new advertisers. And farmers specialize in helping those advertisers develop, analyze and tweak their marketing campaigns. One is not better than the other. They’re simply different. By nature, hunters need the stimulation of newness. New prospects. New contacts. Instant results. Get a contract today and start looking for the next one tomorrow. Farmers take a longer view. Plant seeds and help them grow. What did they learn from the last marketing campaign? How can they build on that? Kirby’s comments are right on target. In general terms, many hunters need to work on providing better customer service – an area which does not produce the instant gratification of a new contract. And many farmers need to cultivate prospecting skills which require a higher level of assertiveness. Hunters and farmers. Effective ad departments have both. And effective managers know how to develop both. John Foust has conducted training programs for thousands of newspaper advertising professionals. Many ad departments are using his training videos to save time and get quick results from in-house training. Email for information: john@johnfoust.com. Mid-America Press Institute will host a one-day sports seminar June 23 at the Indianapolis Star. The seminar will include sessions on sports reporting and writing and on social media and multimedia concerns at newspapers. Registration will be $25 and include a box lunch. To register staffers, email John Ryan at jmryan@eiu.edu. 11:15 – Beyond print: Rick Bozich and Eric Crawford, WDRB Louisville 41; formerly the Louisville Courier Journal. 2:30 – Tips on writing – Rick Bozich; Pete DiPrimio, Fort Wayne News-Sentinel. Have you ever created a great wall-paper, push-down or other premium ad for a client? Enter it in LocalMediaInsider’s Top Ads “Premium Ad Contest” by May 30 and your campaign could win $750, paid to the sale rep, marketer or team that submits the entry. For contest details and to enter click here. KPA co-sponsors this national contest with LocalMediaInsider to recognize excellence in marketing of local merchants by local media around the country. Entry is free! This month, Impact Engine has posted extra awards of $1000 to the winners in June; $250 will go to the overall winner and a special prize of $750 goes to the best premium ad. Wow! Don’t miss the May 30 deadline; to enter click here. DOMINANT PHOTO: I consider this the absolute number one design priority for page 1. A front without a dominant photo (or other visual such as a graphic or map) is a front that fails to draw readers to your newspaper. A secondary but very important point about this element: Place the visual first. Always. Place the visual first. CENTERPIECE: Create a package (often, it’s the one with that dominant visual element) that you want your readers to home in on when they first look at the front. This need not be the lead news story, but you want to give your page a strong focus to attract reader attention. NAMEPLATE: It’s a given, but it requires mention here. Make sure your nameplate is large enough so it doesn’t get lost—but not so large that it tends to dominate the page. Placing it so there’s a bit of space on either side (if it’s a traditional centered style) often helps it stand out better. TEASERS: Take the time to design these well—teasers thrown in just before deadline just don’t do the job. Use visuals that grab attention and write them with verve. You’re counting on these to get readers inside your paper—dull, passive visuals and writing won’t do here. LEAD HEADLINE: If your centerpiece is not your news lead, give that lead headline size and strength. A super-bold sans serif typeface, like a condensed black, works well to indicate to readers that the story is a must-read. NEGATIVE SPACE: Let the page breathe. Allow enough space between packages so readers can clearly distinguish one from the other. I advise at least three picas of space between packages on the front page. A HARD BOTTOM: Don’t let the bottom headline on the front page fade into a size that’s just too small. I recommend a headline that’s at least 36-to-42 point here, to help hold the bottom of the page. The NECESSARIES: You need a space to contain elements such as your UPC code, weather, contact info, a deaths list, an index and the like. I prefer placing this package across the bottom of the page, though it could go in narrow column on the right or left side of the page. Readers—especially new readers—look for this information. Package it tightly but be sure to include it. Your front page is the face you give your newspaper with every issue. Make sure it’s clean, fresh and inviting.